Grandeur classic photo folder (self-standing). Black with a linen weave finish. 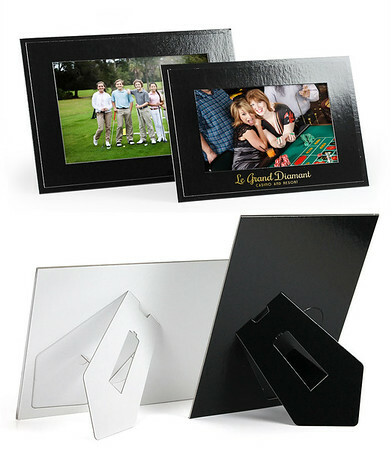 Accommodates horizontal (landscape) photos Tab closure on front panel. 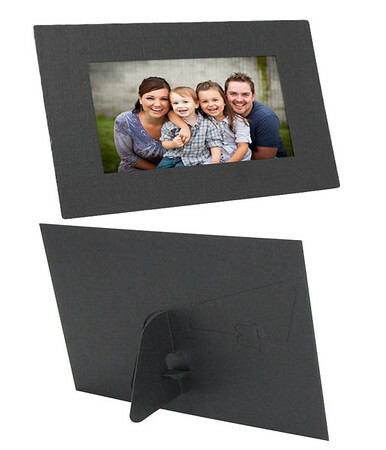 4x6 Classic Horizontal Photo Folder- Made from sturdy black linen weave textured cardstock. Deckle-edged finish.Side-load construction, glued above and below window opening. 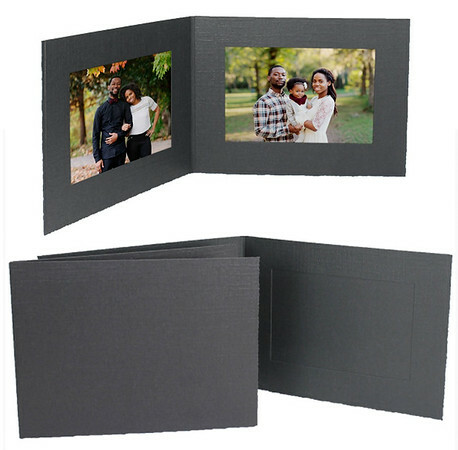 Made from sturdy black linen weave textured cardstock Deckle-edged finish. 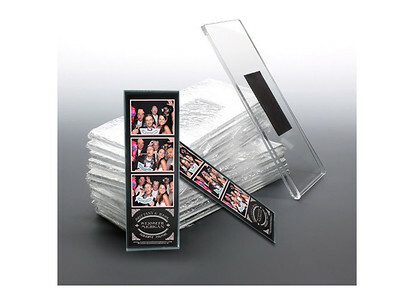 Holds two 4x6 horizontal photos side-by-side on the inside. Side-load construction, glued above and below window opening Custom imprinting available. 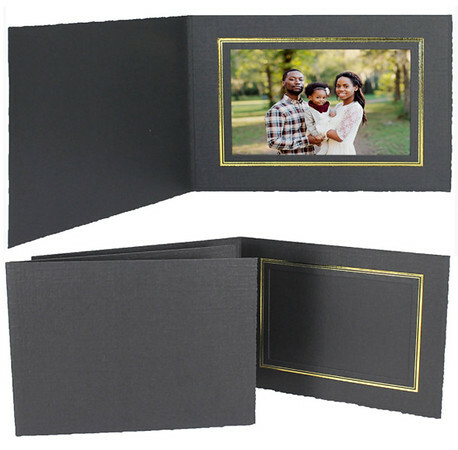 Black cardstock frame with linen weave finish and decorative gold foil border. 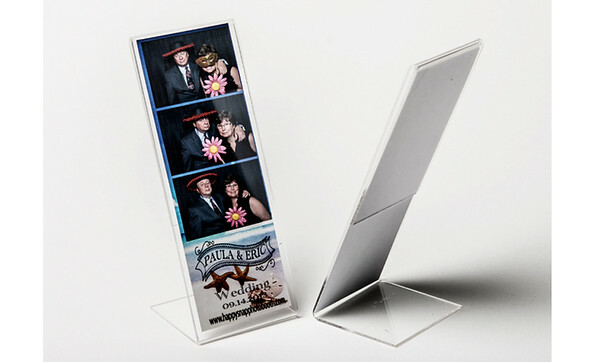 Dual pop-out easels accommodate horizontal or vertical photos and prints. 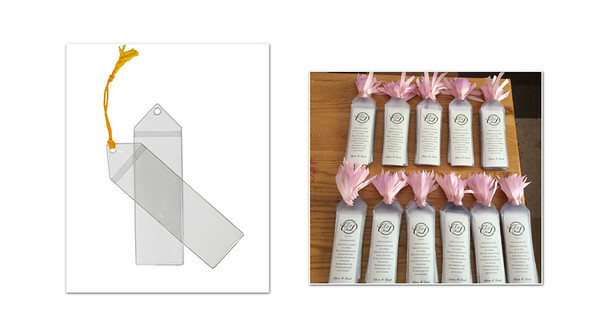 Side-load construction for vertical format, top-load construction for horizontal format. Personalize it! Add your logo or event details. 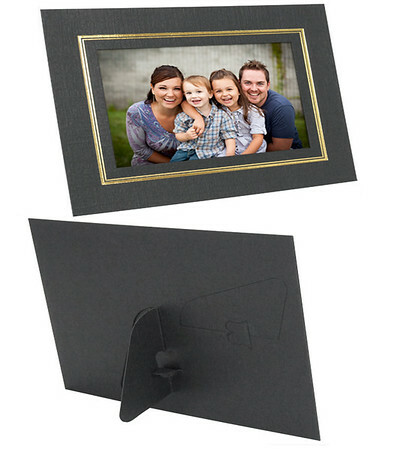 Plain black cardstock frame with linen weave finish. 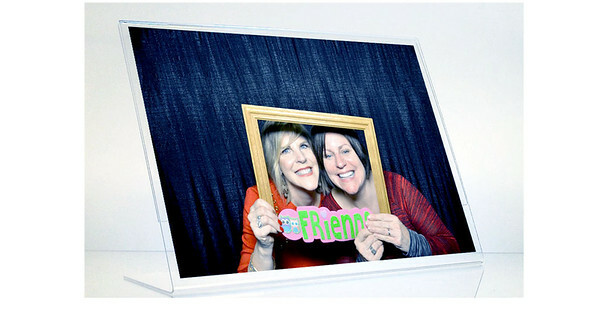 Dual pop-out easels accommodate horizontal or vertical photos and prints. Side-load construction for vertical format, top-load construction for horizontal format. Personalized it! Add your logo or event details. 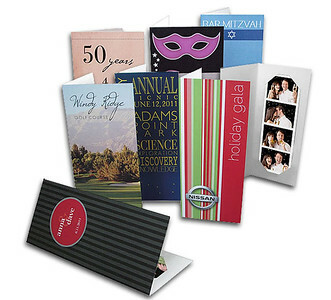 Card stock paper folder , lightweight smooth finish paper. 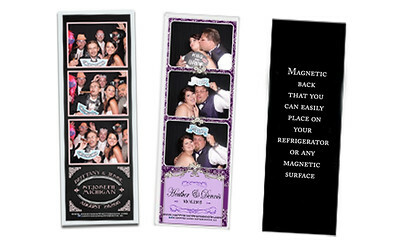 Personalized it with your event logo. 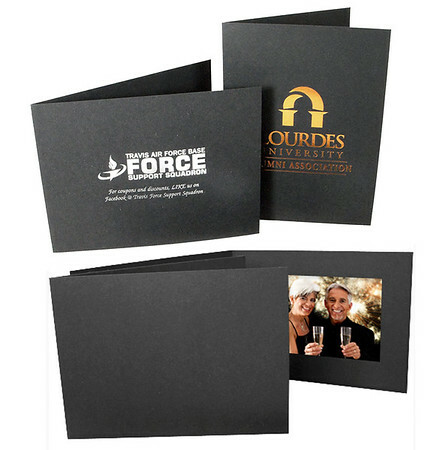 Printed in one foil color.